Develop & monitor central quality standards & process governance and develop a “ready to start” system to help new country entry. Introduce an international PTI QHS audit and management system to maximize harmonization and achieve the requirements of the DEKRA Standard. 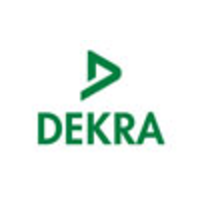 DEKRA has been a reliable partner for over 90 years and ensures safetyon the road, at work and at home. As one of the world’s leading expertorganizations, the company employs more than 44,000 people in over 50countries. With qualified and independent services such as vehicle andindustrial inspections, certifications and consulting, every singleemployee works on our vision to become a Global Partner for a safe worldwith expertise, responsibility and passion on a daily basis. Safety meets knowledge and passion – that is why you can also rely on usas an employer and we provide safety in your life. In addition to anattractive salary, comprehensive social benefits and a company pension,we also provide you with the opportunity to work independently and takeon responsibility from an early stage. We stand for many and variedcareer options and invest in your further development.